Dovercourt Recreation Association hasn't added a story. Lets keep bringing the SJAM Winter Trail back year after year. It remains to be a community trail and it is up to us to keep it going. Need a trail to take your kids skiing without leaving the city? Want to ski to work? Short of time and cannot drive a great distance to go skiing? Want to take in the natural beauties of the Ottawa river and it's majestic shoreline? Want to introduce your friends to winter sports? Want to go for a ski date? Also, we are planning on the SJAM Ski Festival and Winterlude again this year. We need your help. Please consider donating to keep us grooming and providing a winter's playground for you, your family, friends, neighbours and community. Dovercourt Recreation Association hasn't posted any updates yet. Dovercourt Recreation Association is managing the funds for this campaign. 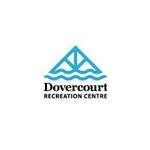 Dovercourt Recreation Association is a verified organization.